After leaving Hong Kong, I went to Singapore. I quickly learned that I was unprepared. The weather in Singapore was about 20 degrees hotter than Hong Kong. Jeans were no longer an option. I found a clothing store and bought a few pairs of shorts. After changing, the first stop was, of course, for food. I visited a few hawker stalls, but the best experience was at a Japanese Yakitori restaurant. Gosso was the highlight of my trip. My traveling adventures are motivated about 90% by food. Most people go for the sites and backpacking. I go for the cuisine. 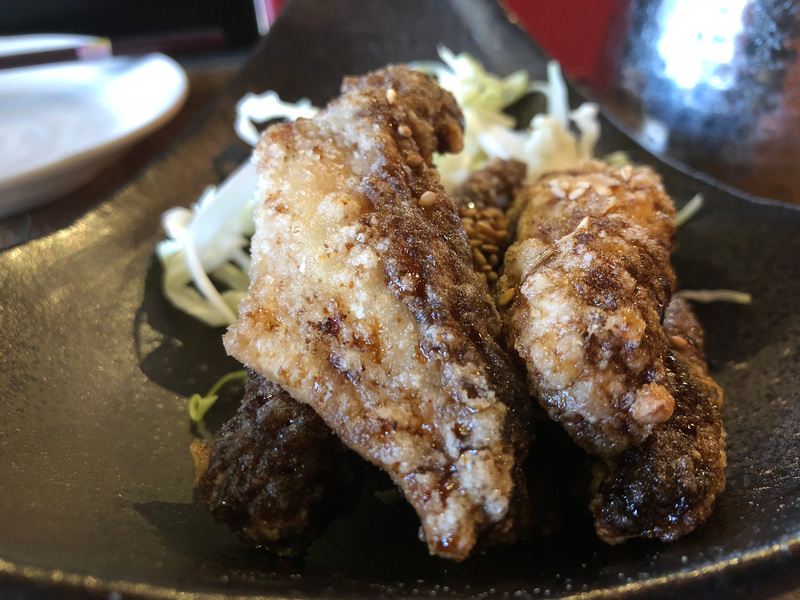 Even though I was in Singapore and the recommended food experience is the hawker stalls, this Japanese yakitori restaurant was the best thing I ate there. 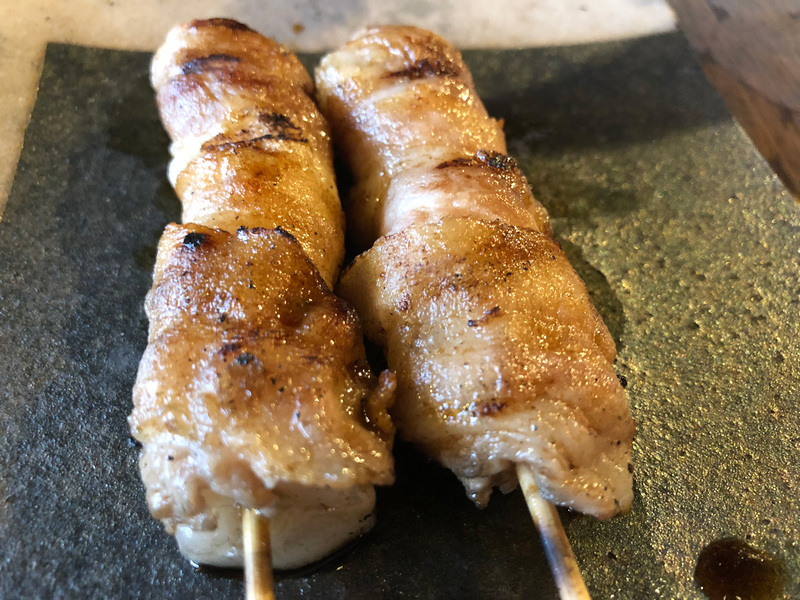 Yakitori is one of the most underrated foods you can get. It’s available in a lot of Japanese restaurants, but often get’s passed by for ramen or sushi. Of course those are delicious too, but I prefer these cooked over hot coals. 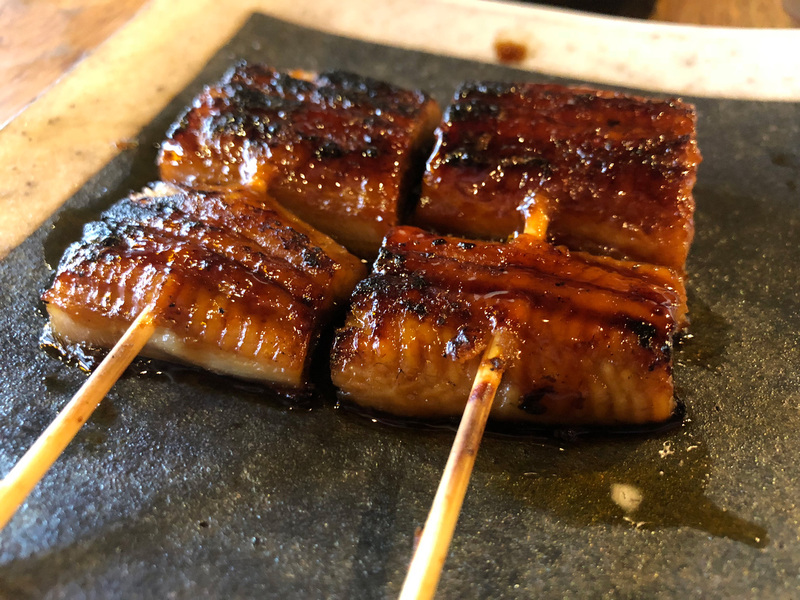 One non-yakitori item I had to order was tebasaki. I haven’t had it in five years and I really missed the flavor (white pepper and Japanese soup base). It was as delicious as I had remembered. Pretty much everything I ordered here was amazing. They even let you order ramen from the place next door. Two blocks from my hotel was Pagoda Street, the famous Chinatown area. I had high hopes for this, but when I was met with gimmicky trinkets and a Seven Eleven shop, I was sorely disappointed. That’s okay, because Singapore is more than just Chinatown. The best cure for a little disappointment is alcohol, right? Wrong. 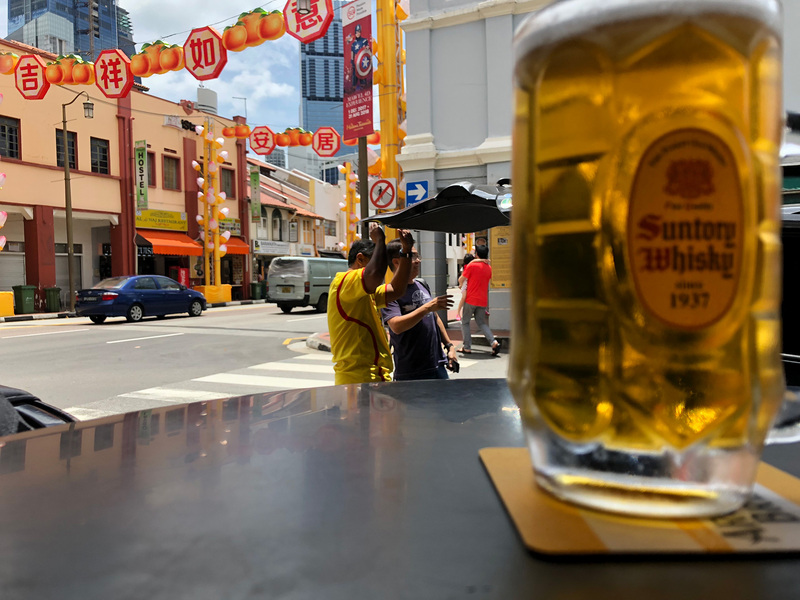 In Singapore, on average, a cheap beer goes for about $8USD during happy hour. You can get a quality meal for this price so it kind of evens out. Liquor is just as expensive. 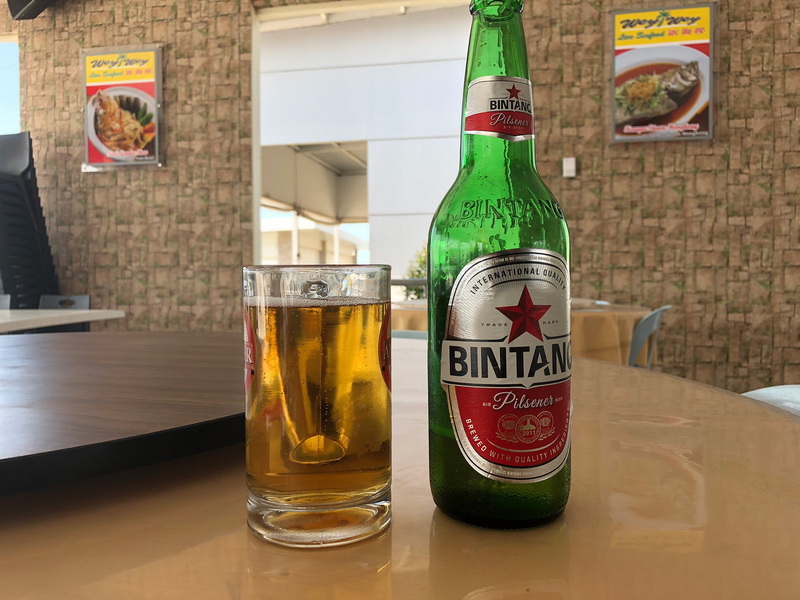 If you’re looking to get some drinks on the cheap, it might be a good idea to take the ferry to Indonesia. I bought a round trip ticket to Indonesia for $36USD. 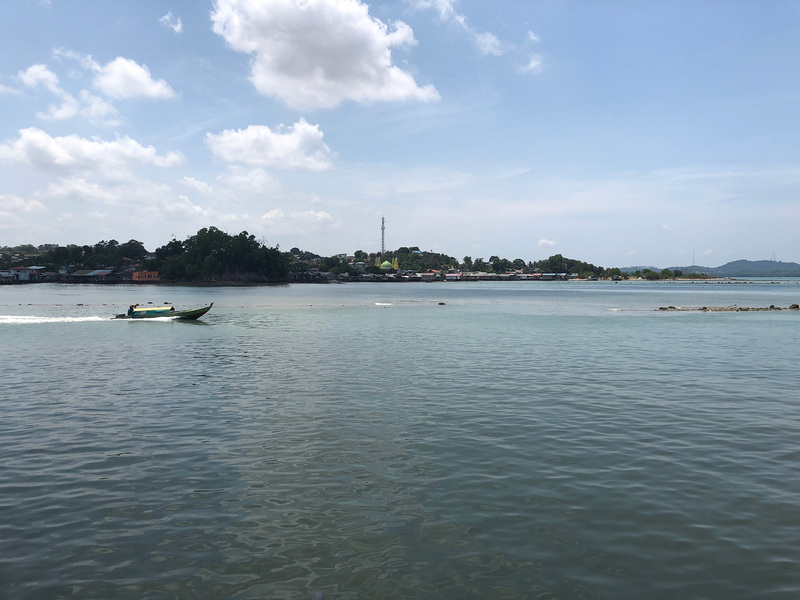 After touring the city of Batam, I went to Wey Wey for lunch. I had a 1 liter beer at lunch for $3USD. I actually didn’t know it was going to be a 1 liter beer. When the beer arrived at my table, I was so surprised. The other thing that surprised me how good the food was in the empty restaurant. I haven’t hired a taxi in years. Every time I travel, I visit a central hub that has everything in walking distance or there’s an affordable subway system. Walking was just a bad idea with how hot it was that close to the equator. I had researched public transit before visiting Batam and learned to haggle with the driver before getting in the car. I negotiated the prices down 5K here, 10K there, only to later realize I was saving 75 cents. After these ridiculous negotiations, the fun started. Thinking back, I don’t recall any traffic signs or lights. There were barely lines in the road. Everyone drove as if they were the only person in the city. Think Los Angeles on steroids. However, I reached every destination safely. Beneath all the heat and sweat from being that close to the equator, it was an amazing experience with amazing food. The more I travel, the less I take pictures and the more I just live in the experience. I fear my future travels will bear less and less photos, but the most important part is the experience and not the proof.